The ice Age winter of 1941/42 is an important piece of evidence in the puzzle for proving that the war at sea during World War II was part of a force that changed the climate for decades. 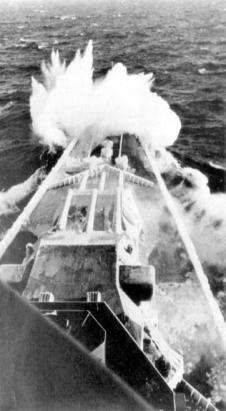 An immediate impact of the war at sea was the heavy modification of the winter weather in Northern Europe from 1939 to 1942. This paper focuses attention on naval activities in the Baltic Sea prior to the third war winter of 1941/42, particularly a few months after Germany had attacked the Soviet Union over a 2,000 km battle line. For the campaign against the Soviet Union, the Germans allotted almost 150 divisions containing a total of about 3,000,000 men. Among these were 19 panzer divisions, and in total the “Barbarossa” force had about 3,000 tanks, 7,000 artillery pieces, and 2,500 aircraft. Research in physics and chemistry often needs to reduce the parameters to laboratory size. Sometimes it would be better if the test could be done by a ‘field experiment’. For the emergence of the arctic winter of 1941/42, the Baltic Sea had served as the most perfect platform for a unique field experiment. Already the previous war winters of 1939/40 and 1940/41 had provided substantial proof of the interaction between the winter conditions in Northern Europe and the war. But in June 1941 the Germans attacked Russia, and thus Baltic Sea became a battleground until ice stopped the use of the sea. The invasion was called ‘Barbarossa’ and the Baltic Sea was part of the launching of the attack. A detailed paper will discuss this matter. (A) This section will present the general meteorological conditions up to the time the glacial winter took control in January 1942. However, after presenting a brief summary of the general weather conditions in some countries relevant to the subject during the year 1941, autumn and winter weather conditions will also be dealt with. The field experiment ‘Barbarossa’ was in full operation by then. Further details: (A) Baltic battlefield, 3_21. The year 1941 was throughout too cold and dull with high precipitation for the whole Reich. Actually, this applied more to the southern part of Germany, with 130-160% more rain northwest of the river Danube, the middle part of the river Elbe and Silesia. At the same time all coastal areas had good weather with above average parameters: 85-95% of precipitation, less cloud cover (2-5%), less dull days (2-10 days), and up to 200 hours more sunshine. Further details: (A) Rain-Making, 2_31. During the year 1941 cyclonic activities were of a lesser volume. They were of greater importance only during the months of August, October and December. That could be largely due to naval activities in the Baltic Sea. Stable high-pressure areas mainly determined the weather during all other months. This was the reason for the climate of that year to have a very unusual continental character, which was particularly pronounced in the southern and middle part of the country. January occurred to be the coldest month since 1860; precipitation was the lowest during April-May, and if taken together the lowest that ever occurred. 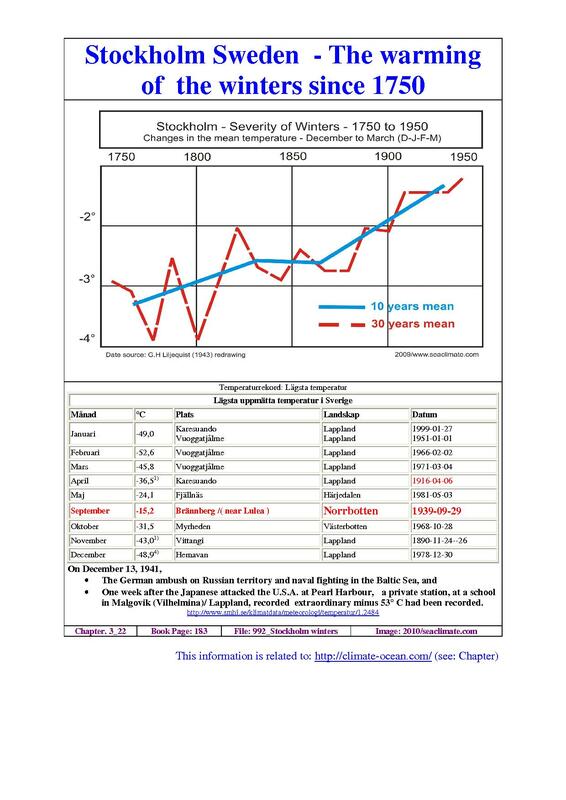 In May the sunshine period in Stockholm was the longest since 1908 (when such record started to be taken). July was one of the warmest ever. If it is reckoned that the months of October and December had been very stormy due to lively cyclonic activities, at least along the Baltic Sea coast, it has to be conceded from a purely meteorological point of view that the whole year was a very rich one in contrast. Annual temperatures had been lower than usual (ditto). The biggest shortfall had been in northern Svealand and parts bordering Norrland with 1.5 -2°C. As January 1941 had been the coldest January month in Götaland and Svealand since regular recording had started in 1859, and July the warmest over the same time period, it had been the highest amplitude measured in this part of the country. The temperature was above usual the mean degrees in Stockholm (+11.5°C), Goeteborg (+11.3°C) and Falun (+14°C). The highest temperature measured in summer 1941 was in Lindhult (Skaraborgs lan) with 36.8°C on July 14th. Concerning the lowest temperatures of the year since the measurement had started, a new record for Sweden was noted. 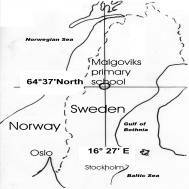 On December 13th (1941) on a plain alcohol thermometer at Malgoviks primary school, Laxbaecken, Vaesterbotton lan, ( 64 ° 37’ North, 16° 25’ East) a very low temperature had been recorded. In comparison with a common thermometer this temperature was assumed as minus 53°C. With regard to precipitation also the year was highly variant. In general, the precipitation had been too low and particularly the spring was very dry. Southern Sweden received excessive rain in August and in the first half of September, quite often, with heavy cloudburst with hail. Comment: As a Swedish weather analyst had remarked, it had indeed been a very contrast rich year. In general the same remarks apply for Germany also where the situation until May was certainly related to an ice rich winter. Concerning the ‘warmest June’ this could be due to relatively cold sea water, little maritime influence and plenty of sunshine. With regard to the active air movement in August, October and December, it could well be that the conditions of the Baltic Sea – together with military activities – provided substantial support by forcing warmer water from lower water layers upwards, thus supporting stormy conditions. Excessive rain in South Sweden in late summer is a perfect demonstration of the thesis on the ‘stir effect’ due to war at sea activities resulting in increased evaporation presumably in combination with the ‘rain making’ activities, e.g. cloud seeding. A cold January 1941 was followed by a snow rich February. In the NE district during the week commencing February 16th, new snowfall represented an equivalent rainfall of 744 per cent. The precipitation figure for the NE district in January and February was ca. 250%. Under the influence of northerly and north-easterly winds, the temperature remained below average (although not very markedly except for a mid-May frost) almost continuously until the third week in June, when a warm, dry, sunny period started, lasting for about four weeks. After this conditions again deteriorated, August being wet. Conditions improved at the end of August and the autumn was genial. December was also regarded as mild. Comment: The notion of ‘genial autumn weather’ is a clear indication of continental influence, viz. higher air pressure situations than usual. A ‘wet’ August provides an excellent link to naval activities around the British Isles. It is a well-known fact that the German Army within a few months of the invasion of Russia in June 1941 encountered winter conditions in Western Russia, the severity of which cannot be imagined. It was much out of tune with the climatic records over many years, and it is not surprising that the German armies had been badly prepared to face it. In so far they fell prey to a similar misjudgement, as did the Russian Army in Finland in December 1939. While the military offensive in Finland ‘pushed the weather’ to very cold temperatures under the Arctic Circle, (Russian – Finnish war, 2_41), the Germans drove the weather conditions ‘over the edge’ by turning the Baltic Sea ‘upside down’. Six months’ ‘treatment’ of the Baltic Sea in 1941 was several folds more intensive than in 1939, so also snow, freezing and ice conditions were severe along the whole German – Russian front line from west of Murmansk, Leningrad, Kalini, Mazhaisk (west of Moscow), Belowgrad, Rostov, and Sevastopol (Krim) a short time later. Since mid November 1941 the temperature during daytime was -3°C, at night it went down to -7°C. By the end of November the temperature fell to minus 25 degrees Celsius at the Eastern Front. Along the frontlines close to Leningrad heavy snowfall blocked almost all German mechanized operations. (NYT, 04 December 1941). On December 7th the German High Command stated in a communiqué, that “despite bitter cold, German and Italian troops have won successes in local offensive in the Donets Basin” (NYT, 08 December 1941), and that the winter forced abandonment of big operations in the north until spring. (NYT, 09 December 1941). In December temperatures were down to -40°C. However, the first war winter in Russia for the German Armies started in January 1942. The Battle of Moscow lasted until April 1942. More than 3 million people, up to 3 thousand tanks, more than 2 thousand planes and over 22 thousand guns and mortars were involved in the battle on both sides. Before the emergence of the severe cold at the Eastern Front, there was a very heavy ‘mud-period’ lasting from early October until freezing commenced. It started with snow at about October 7th and continued with rain, bearing quite a number of similarities with the situation discussed in an earlier chapter concerning rain-making with regard to the Western Front along the river Rhine in late 1939. Until the end of December 1941, the invasion had cost the German Army: life of 174,000 men, 600,000 were wounded and 36,000 were missing. The material loss amounted to 758 bomber planes, 568 fighter planes, and 767 other types of air planes. The loss of tanks, flaks and vehicles was immense; losses of the Russians were often considerably higher by irrecoverable losses of 3.000.000 men, plus 1,3 million wounded and sick. While there is plenty of the material available on battles, air strikes, tank attacks and infantry actions, reliable meteorological studies are rare and difficult to find. This investigation was also not able to find and present data from the Baltic countries. This is admitted with regret. As this region as well as Western Russia experienced a winter 1941/42 not seen in many decades, possibly in more than a century, it should definitely have been included in this paper which actually applies for the first three WWII winters. Fortunately, to prove the argument of the thesis ‘climate change by war at sea’, any in-depth knowledge of the situation east of the Baltic Sea is not needed. The knowledge that it was killing cold and the weather conditions with climatic records were out of tune is sufficient enough. In order to demonstrate the solidity of the thesis, reliance on the extraordinary winter conditions in Sweden and elsewhere in Northern Europe and available climate data records will provide enough information. 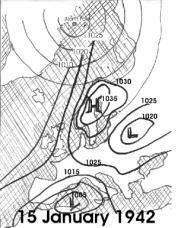 October: The stable European weather changed suddenly when an extensive low-pressure area from the Barents Sea intensified over the Baltic Sea on 9th October, and at the same time an Atlantic cyclone approached the German North Sea coast. The weather remained varying while a Mediterranean cyclone controlled Central Europe on 29th October. November: Variant weather continued well into November, whereby the North Sea coast saw some warming due to a virulent cyclone off Norway (on November 5th), which could withstand the influence of an Atlantic high air pressure area. From thereon a north-easterly weather situation prevailed with interruptions. December: December weather was too mild and, except for larger areas in south Germany, too wet. On December 3rd a warming period started in North Germany with a mix of snow and rain. The weather remained very variable, with a number of cyclones passing northerly Europe, bringing subtropical warm air, and moving the temperatures 8-10°C above average. A cold front of a South-Swedish cyclone ended the impact of the subtropical warm air, while precipitation in North Germany continued until an Atlantic high-pressure area brought clear weather. The weather changed suddenly with the inflow of arctic cold air causing abundant snow with clear frost days until the end of the year, except for North Germany that experienced some moderate temperatures due to a warm front, causing thick fog. January 1942: At the start of the month strong frost continued east of the Wisla (Weichsel) only, while a high-pressure area over France brought mild maritime air with rain for the rest of Middle Europe, coming down as snow in East Germany. With a strong rise of the air pressure over the Atlantic cold arctic air flooded in, building up a high-pressure area in the North, driving cold air from Russia far to the West (January 8/9). From January 14th to the end of the month several new thrusts drove in continental air, while disturbances moved from England, via France to the Mediterranean. The temperatures dropped everywhere - except over the ‘Ostfriesischen Inseln’ (North Sea islands) – to minus 20°C, followed by absolute record freezing temperatures on January 22nd - 23rd. Comment: The situation in late 1941 and January 1942 demonstrates that the North Sea and Baltic Sea, as in the previous war winters, had been too ‘weak’ to ensure Atlantic West Wind to function as usual, i.e. to stop the advance of continental air to its shores. Particularly the move of cyclones south of England and straight to the Mediterranean indicates that the Atlantic weather machinery was functioning. The developments since January14th show that the Baltic Sea suffered a ‘breakdown’, unable to emit any heat into the air that would at least have minimized the free flow of arctic air straight into Europe. The winter 1941/42 (rank 3) was colder than 1939/40 (Rank 8) during the period of observation from 1706 to 1946. October: A number of cyclones brought a lively variation to weather conditions with gale winds and rain particularly over the southern part of the country. A high-pressure area, arriving from the west drove hard northerly winds along the whole East coast. A low pressure over Norrland brought some mild westerly air and on its backside cold air up to gale forces in the Bottenhavet and the northern Baltic. On October 28th a strong cyclone arrived from NW over South Götaland and caused north-easterly snowstorms at the West coast. November:The weather remained variable with strong winds or gale, along the whole Götaland coast from 12th – 14th. Particularly severe was the gale in Skane, south and east coast (Trelleborg, Karlskrona), with wind forces about 11 Beaufort on 13th. From 16th – 22nd high air pressure prevailed with permanent foggy and misty weather in South Sweden. Cyclonic activities continued briefly from 26th – 29th in the North, returning to a dominant high pressure on the 30th. December: From the 6th to the end of the month, with a few exceptions, the weather was dominated by passing cyclones sometimes in opposite wind directions (Norrland – easterly; Götaland –westerly), enormous weather variations and a ‘deep fall’ of temperature, up to 15 degrees in 24 hours. On December 27th to 28th wind-forces 10 and 11 Beaufort were registered at the West- and South coast. Further details: (A) Stockholm’s record, 3_23. Comment: The enormous variation and erratic behaviour of the weather is a significant indication that the ‘underlying’ seas irritated the atmosphere and forced it to unusual behaviour. Also the Swedish picture shows that the making of the Atlantic cyclone was still functioning in December, but that the continental air thrust through Middle Europe finally prevailed. The relatively warm December (see also Denmark) might find its explanation in two factors: a lot of warm surface water had been ‘plugged under’ in summer and early autumn, while in December naval activities and busy sea transport forced cold surface water down and warmer water to the surface. The winter 1941-42 was extraordinarily long lasting and cold in spite of a December having mean temperatures above normal. January and February were about 6°C colder than normal for the country. From January 7th on, a long and lasting frosty period started, and temperature dropped to a record low of –31.0°C on January 26th. After a severe cold in February (max. - 29°C), also March and April had been cold, with considerable frost on April 4th (-17°) and again considerable frost during April 25th to 29th . The winter of 1941/42 was of a quite unusual character, long lasting and cold. Considering the ‘amount of cold’, this winter took the first rank with a cold-sum figure of 497.5, whereas the winter 1939/40 as the number two only reached the figure 368.5 . The Finnish sea ice specialist Palosuo made the following assessment for December 1941 and January 1942  – excerpt - : A new and comparatively hard period of frost began in the early part of December. December 20-22 the weather was milder, with a variable, mostly W-wind. On December 23frost increased and a new period of hard frost set in. Wind was weak. Hard frost set in four days later on 27th, with very hard frost in the central part of the Gulf of Finland. On the following day the weather became a little milder and it began to snow, and after a couple of days mild weather set in, i.e. in the evening of December 31, the wind shifted to South and increased to 3-5 Beaufort. On January 6 a strong outbreak of arctic air mass began to push outwards from the north southward over Finland, resulting in the formation of a ridge of stationary high air pressure over Scandinavia. By January 15 the outbreak of cold air had reached Germany, where the independent cold air pool (“Kaltlufttropfen”) was formed. Thus the period of severe frost had begun. In January 1942 deviations from the mean value, on a 7-day basis, were as follows: Scotland N. (-2.5 to –5.1); Scotland E. (-2.5 to –5.7); England N.E. (-2.5 to –10.3); England E. (-2.7 to –10.1); Midlands (-2.7 to –10.1); Scotland W. (- 3.3 to –5.9); England S.W. and N.Wales (-3.9 to –8.1); Channel Isles (-2, –2.9, +0.9, -0.8) . January was also very dull, cold, and a great snowstorm affected much of Britain on 19th. With regard to severity, the winter was more severe in the SE. At Greenwich the January means had been 33.5°F (5.6°F below the average for 100 years, 1841-1940); the February mean had been 32.2°F (7.6°F below average). At Kew Observatory Drummond observed, that “perhaps the most outstanding feature of the 1941-42 temperature curve was the failure of the mean February 1942 temperature to rise to the average on any single day, and together with the January temperature did not reach the average for 56 days. This shows that the North Sea was “exhausted”, the summer heat had gone. Comment: The report confirms that the war at sea around the British Isles had strongly supported the basic conditions for this winter of 1941/42. Severe, dull and extraordinary variations indicate strongly a war at sea relevance. A corresponding situation, with unusual cold winters and snow conditions also happened during World War I between 1915 and 1918. That Britain did not fall prey to absolute record winter conditions can be explained with increased naval activities in the North Atlantic. “An arctic air mass, in the form of a closed upper low, had already advanced over Europe earlier. It had reached Finland on January 8th, and on the 15th divided over Germany where one fork was driven to the North Sea on the south-west flank of a Scandinavian high pressure, while another fork was caught by a central-Russian low pressure and remained there. On January 18 a smaller, independent cold air pool was formed over north-west Germany, while the Russian dome, considerably reinforced on the arrival of another cold trough penetrating from the north-west, again reached out over Germany from across the Baltic. In a few days, however, it was pushed back eastward with the main mass. There it united with a low pushing westward from the interior of Siberia. This low reached the district of Moscow on January 23rd, and on the day after the atmospheric space around Smolensk; (on the 25th) it was still perceptible above the Baltic Sea. This surface low was accompanied, in the free atmosphere, by unusually low temperatures and a corresponding upper cyclone. When, the night before, it passed Riga the lowest temperatures measured to date above the European atmospheric space were recorded in several layers….It may be mentioned further that the average temperature of the 1,000-500 mb layer was lower than that corresponding to the January average at the cold pole, which best illustrates the unusual intensity of this cold air pool”. Comment: The analysis clearly illustrates that the Baltic Sea played a role in the establishment of winter weather. Getting the ‘cold pole’ so far south and in the Baltic region would not have occurred without the war fought in that region. Experiment accomplished. Naval activities in the Baltic Sea – June-December 1941 (3_21); page 173. 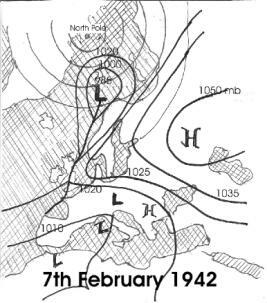 Stockholm’s arctic winter 1942, Sweden’s record conditions – Swedish weather analysis - Winter 1941/42 (3_23); page 193. Three year ice package, Europe’s war winters 1939-1942 – The three year-winter-package (3_31), page 199. This chapter could show how strongly the weather deviated from normal, and that the ‘erratic’ weather coincided perfectly with time and actions of the war. 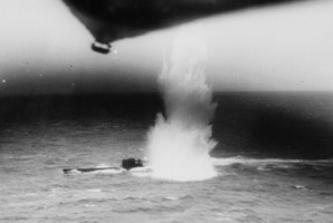 Many of the events mentioned can be considered either on an individual basis or together with other events, as massive circumstantial evidence to prove that five months of war in the Baltic waters heavily modified the course of the winter weather conditions of 1941/42.